Government shutdown, day 14: Where does it go from here? Washington is deadlocked as it enters the 14th day of a partial government shutdown that leaves the United States facing the prospect of defaulting on its bonds - a move that could send both the dollar and global financial markets into a tailspin. The crisis has already led to furloughs of 350,000 federal workers, canceled military training missions and slowed economic growth. It was clear at the beginning of 2013 when the Congress suspended the debt limit, that sooner rather than later that it would need to be increased. It was also clear that a new spending bill would be needed when spending authority for non-entitlement programs expired at the end of September in order to prevent a partial government shutdown. House Speaker John Boehner said he would insist on spending reductions as part of the price of voting to increase the debt limit. And last summer Sen. Ted Cruz, R- Texas, and other conservatives began discussing their plan to block or delay the Affordable Care Act before enrollment in insurance plans started in October, by using the spending bill or debt limit as leverage. President Obama and congressional Democrats have steadfastly insisted on nothing less than a “clean” bill to continue funding the government at currents levels and a “clean” extension of the nation’s ability to borrow, with no extra bargaining in either situation. With Republicans holding the majority in the House of Representatives and Democrats in control of the Senate and White House, the government has come to this standoff. For now, the action has shifted to the Senate leaders. 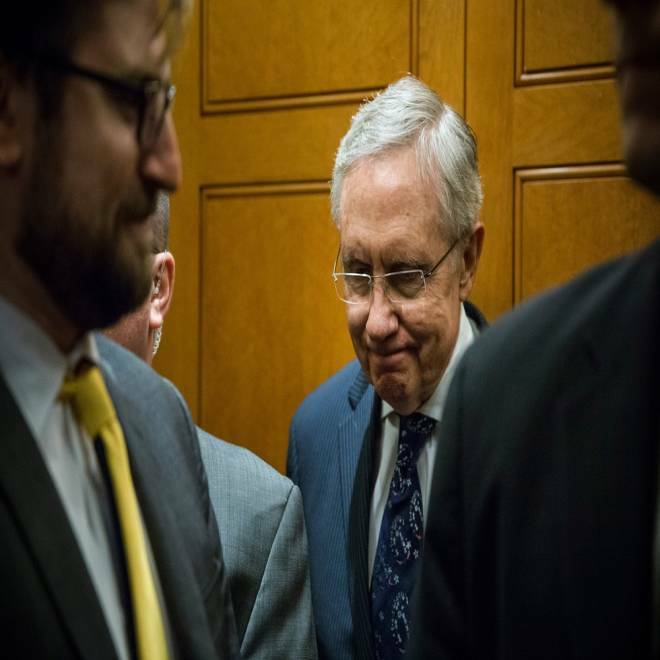 What are Reid and McConnell trying to accomplish? The two leaders are trying to agree on a plan that would lead to congressional approval of a spending bill which would allow government operations which have been halted since Oct. 1 to resume. They also want to figure out a way to increase the government’s borrowing limit. What’s the latest roadblock to an agreement? Republican say Democrats are seeking to undo the spending limits, or sequester, that Congress and President Barack Obama agreed to as part of the 2011 Budget Control Act. Senate Republicans said Sunday that lifting the spending limits is unacceptable. “If you break the spending caps you're not get any Republicans in the Senate,” Sen. Lindsey Graham, R-S.C., said. But a Democratic Senate leadership aide fired back that Democrats all voted for the Senate-passed short-term spending bill with the current sequester levels. “We stand by that bill and would happily accept it or something similar as a way out of the current impasse, and leave the debate over 2014 levels for another time,” the aide said. How likely is it that a Reid-McConnell deal would be OK’d by the House and Senate? The borrowing limit, or debt limit, is the maximum amount set by Congress on the amount of borrowing the government can do. It now stands at $16.7 trillion. How has federal debt grown in recent years? Federal debt amounted to 63 percent of gross domestic product (or national income) in 2007 and grew to nearly 102 percent of GDP in 2012. The Congressional Budget Office and private-sector economists project that the debt will increase substantially in the next few decades. When does the Treasury hit the debt limit? 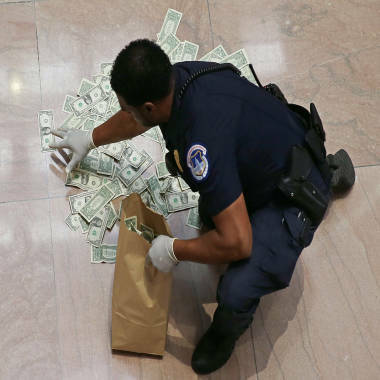 The Treasury estimates it will exhaust its legal authority to borrow on Thursday and will have only about $30 billion in cash on hand, plus each day’s tax receipts, with which to pay those who are expecting to receive federal money. This includes Social Security recipients, contractors who’ve done work for the government, and others including -- perhaps most importantly – the investors who hold Treasury securities. Default is a failure to pay those who own Treasury securities on time and in full. Will the government default on its debt on Thursday? No. The Congressional Budget Office projects that the Treasury will use up its cash balance by the end of October. At some unknown point between Thursday and the end of October, the Treasury will have insufficient cash on hand to pay interest and principal on Treasury securities. At that point, it would default on some of those securities if Congress does not increase the debt limit before then. What effect would a default have? It would scare investors, create enormous economic uncertainty, and very likely make U.S. government bonds a less attractive investment – which in turn would raise interest rates and thus slow down economic activity. Even the whiff of a default is already frightening the residential real estate market, said Gary Thomas, the president of the National Association of Realtors in testimony before the Senate Banking Committee Thursday. A Meet the Press roundtable discusses how the federal government shutdown is affecting people and business in the U.S. Does the government shutdown affect the debt limit and if so, how? The government shutdown has furloughed federal workers and slowed economic activity. The Treasury is collecting less revenue than it expected to collect. The shutdown may mean the Treasury runs out of cash sooner than the end of the month. Can Lew protect the creditworthiness of the federal government by paying bondholders first, ahead of paying Social Security recipients, for example? What about the attempt launched by Sen. Ted Cruz, R- Texas, and others to defund Obamacare that sparked this standoff? Since that attempt hasn’t succeeded and has created its own collateral damage, the idea of trying to defund Obamacare may be less appealing to Republicans than it appeared to be a few weeks back. For now, the idea of making changes in the health care law appears to have slipped off the priority list. Meanwhile, the debut of Obamacare’s insurance enrollment, which began on Oct. 1, has been plagued with massive software problems and it’s not known how many people have been able to enroll in insurance plans. “What breaks my heart is for the last 12 days, you have had a complete meltdown of the portal called Obamacare; the whole system is just not working,” Graham said.